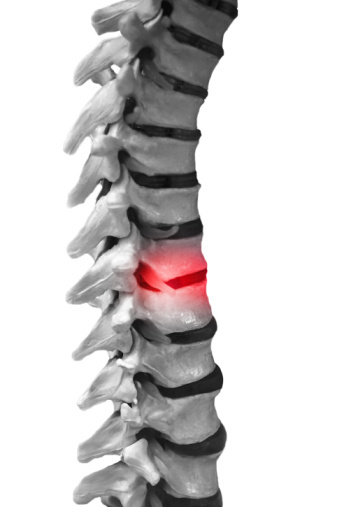 1. a minor misalignment of the segment of the spine (vertebrae) causing an irritation to a nerve with a loss of normal function. 2. an interuption of communication from the brain to any cell, tissue or organ in the body. Subluxations are caused by any stress (physical, mental or chemical) the person cannot adapt to. Subluxations result in the organ, tissue, muscles, etc., losing their normal function. Subluxations cause a lowered resistance to disease. When a vertabrae is misaligned it puts pressure on the nerves in that area, thereby cuting off communication from the brain to that area supplied by the nerve. The purpose of Chiropractic is to correct the subluxation and restore proper nerve flow.